Writing about the Day of the Dead has prompted a lot of thinking about the special people in my life, the ones whom I consider my ancestors although they were not related by blood. One person I've been thinking about a lot is Polly Hubbard. I was 27; she was 49. Polly was from the south, a generation ahead of me, however, she was anything but old fashioned or a standard Southern belle. She was brash, bold and often profane. She once told me that when Hank Hubbard asked her to marry him, she informed him that she was not interested in being a housewife or a mother. She was 22 at the time. When he said it was okay about the kids and that he would do all the cleaning, she accepted his proposal. Hank was an engineer at a high tech, government firm and was still doing all the vacuuming when I met them. By then, Polly had softened and agreed to do most of the cooking and cleaning, but had held the line on not having children or vacuuming. They were married until he died much later of Alzheimer’s and she took care of him as well as he had always taken care of her. I had never met anyone like Polly. She was a woman ahead of her time with a mind of her own, a free spirit who made me laugh and made me think. She also changed my life and gave birth to a part of me that I never knew existed … an embryonic being that was still too tiny and unformed to even name. Polly was a photographer and a painter. She once invited me over to see photographs from her trip to Italy. I was stunned. Expecting to see Italy, she showed me art. I had never seen anything like her photos … elegant, graphic in lines and shadows, often monochrome with a single point of color. 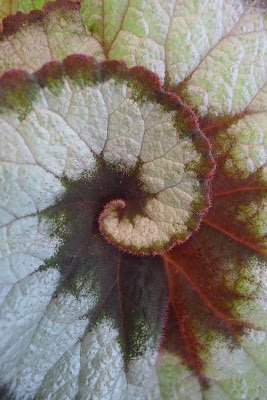 I had been taking photos for years but had never thought about “making art" with a camera. That evening, in a suburban basement, my relationship with photography changed. We both worked part-time for a one-man accounting office; I was a bookkeeper; she was the receptionist. Our boss was rather prissy and irritating, fortunately however, he was usually gone, leaving us a lot of time to get to know each other. One day, Polly told me I needed to start painting. She was that way. No gentle suggestions from her. We left work a bit early and went to an art supply store, where I fell into stupefied wonder. I was a kid from Kansas and never knew there were such places filled with paints and brushes, inks and canvases and a thousand other things all calling, “play with me!” That day started a life-long career of buying art supplies. For many years, that was my best artistic skill as I flitted from painting, drawing, needlepoint, quilting, collage and mosaic. I wish I could say that my first canvases showed a magical, till then unrevealed talent. But no, that wasn’t the way it happened. Those early results were awkward and unpromising. However, while I didn’t like the results, I was taken with the process and loved learning and being part of something so completely new. Polly encouraged my efforts, but I was young and full of career and marriage. The seed she planted lay dormant for years before it sprouted. By then, I had moved back to California and only talked to her occasionally, but she continued to poke, prod and nourish something she had apparently seen in me many years before. It took a long time before I realized Polly had given birth to my artistic nature and began to consider her one of my "other mothers." One of the most prominent features of the altars made to honor the ancestors during the Day of the Dead celebration is a photo of the loved ones who have died. All the pictures I had of Polly were the victim of too many moves, but I found one with her obituary thanks to Google. She will be added to my Day of the Dead altar with my deepest gratitude to her for giving me the gift of art. Who are your other mothers, and how do you honor them? Day of the Dead, Episode #2 Why all the fancy-dressed skeletons? SALISBURY - Pauline Washburn "Polly" Hubbard, 89, of Salisbury, died Saturday, June 1, 2013, at the Lutheran Home at Trinity Oaks. Born Dec. 11, 1923, in Wewoka, Okla., she was the daughter of the late Joseph Edward Washburn and Olive Gregg Washburn. She was educated at New Lima High School; East Central State University, Ada, Okla.; and the University of Maryland, College Park. While living in Salisbury from 1946-1960, she worked as the payroll clerk at Duke Power Company. After moving with her husband Hank to Silver Spring, Md., she became a part of the DC/ Maryland art community as a fine art photographer and remained active until returning to Salisbury early in 2007. 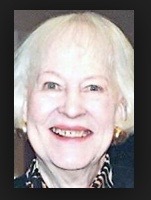 She was preceded in death by her husband, Henry C. "Hank" Hubbard, Jr., on Sept. 14, 2011. She is survived by a sister, Evelyn McCune of Vancouver, Wash.; and six nieces. Also surviving are the remaining members of the Hubbard family which received her so graciously in 1946, when she came as a bride to live in Salisbury. Joyce, I love this post and Polly. What an amazing woman she was--and what a gift to you! She's a terrific "other mother" and I'm sure would be incredibly proud to know how she helped germinate the work you're creating.